Science can seem pretty crazy sometimes – a minefield of impenetrable jargon, pointless experiments and maths that might as well be hieroglyphics. But science is not just a bunch of socially-awkward geeks speaking Klingon to each other through the medium of indecipherable graphs and funny symbols (although that does form an important part of it): At its very core, science is about openness, transparency and the sharing of ideas. On this blog we get to the bottom of some of the latest findings in the world of science, from keeping slices of brain alive to tattooing mice to cure them of flesh-eating parasites. We explore why scientists do the weird things that they do and what their findings could mean to us and the world around us. The scientific papers we feature are all open-access, meaning that you don’t just have to take what we say at face-value, but you can have a go yourself at seeing what the original research looks like (perhaps not for the faint of heart). In our main articles we ask (and try to answer) the important questions: What’s the point? and Did they prove anything? We hope that this helps the science to make sense and to not seem totally pointless. We also have a fortnightly column, Who’d have thunk it?, which condenses new science stories from both here and around the web into bite-size portions of crisp, delicious science. Finally, we have a handful of longer articles that try to explain why certain things are done in science: how scientific method works and why scientific papers are published. The whole point of science is to help us understand our world, so it makes no sense if science itself is made hard to understand. 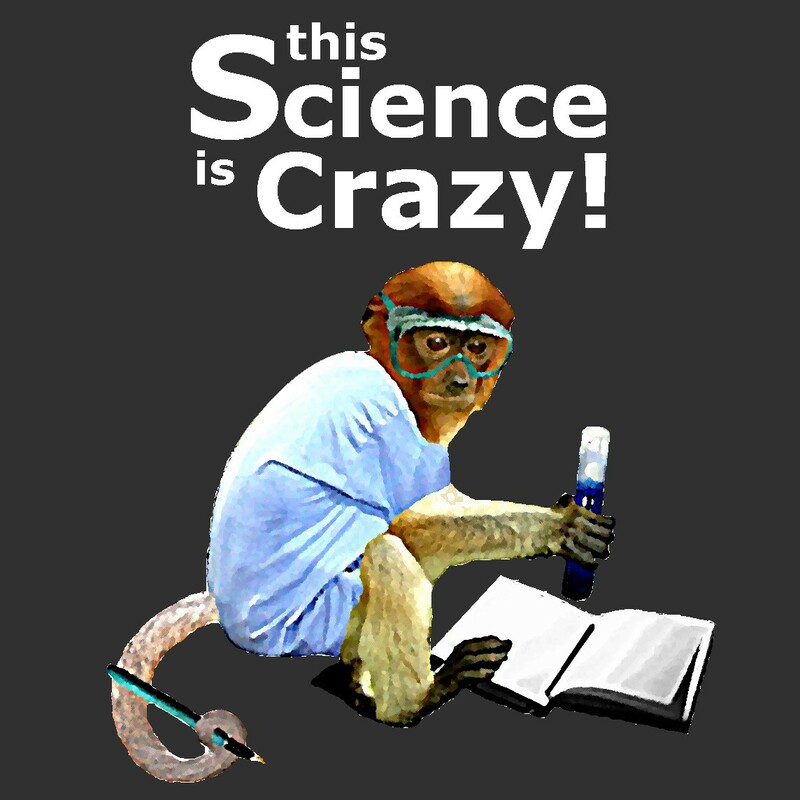 Ultimately, although it may appear crazy sometimes, science is for everyone. 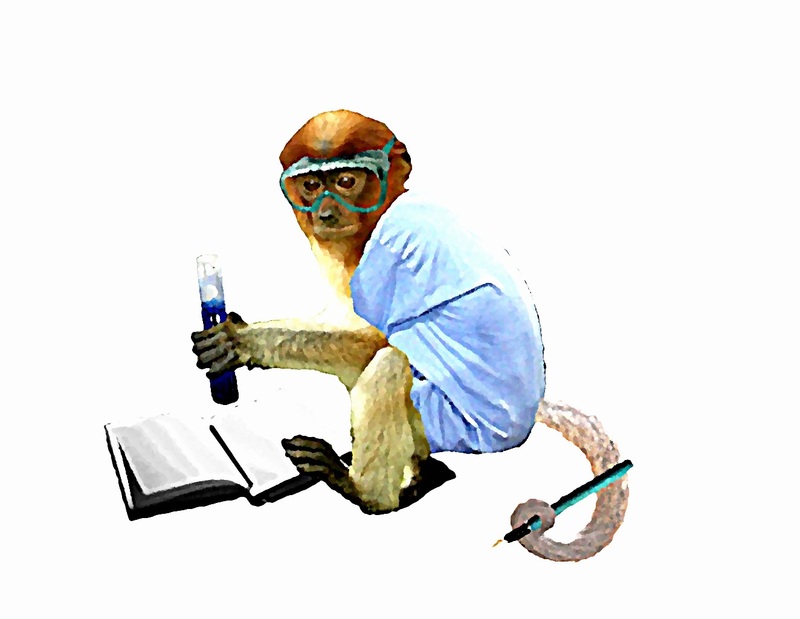 ‘Monkey scientist’ picture is developed from various open source/Creative Commons images. Credits: einalem; T Watson; M Kuczer; Pdcook; NASA GSFC; AlexVan.